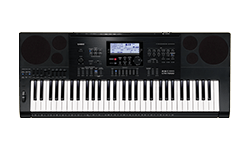 The CASIO PX-770 is a real musical all-rounder thanks to the new grand piano sound in Concert, Mellow, Bright, Modern, Rock and Jazz sound variants, plus 13 other tones. 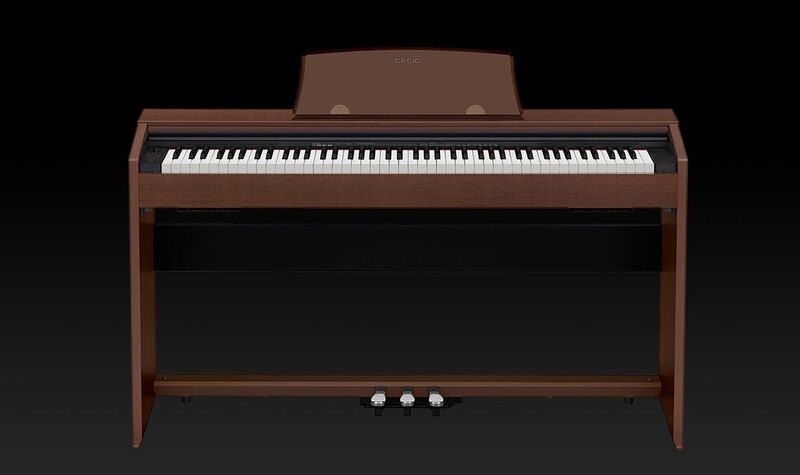 Featuring damper resonance, Volume Sync EQ and headphone mode EQ, there are no limits to the pianist's creativity. 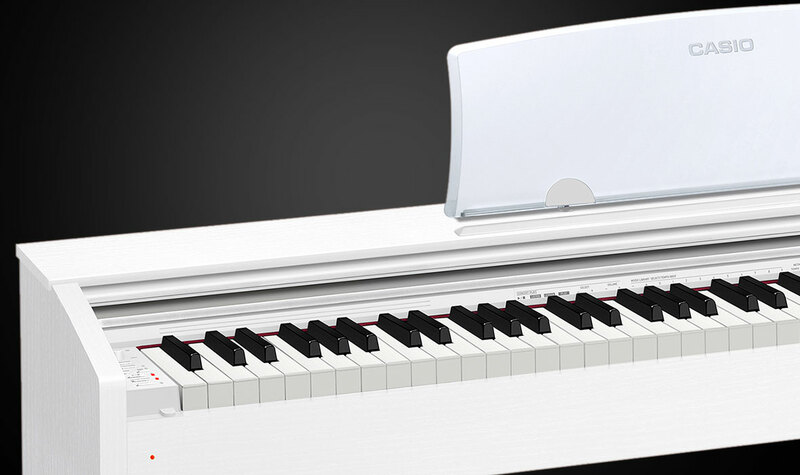 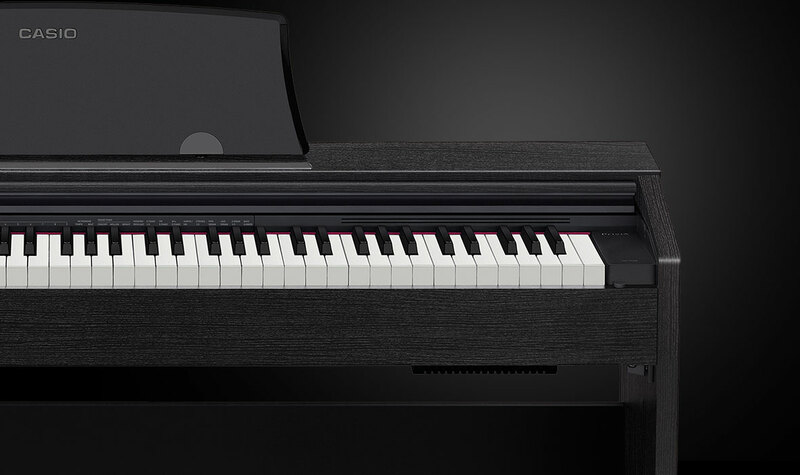 With the PX-770, you receive a digital piano for your home with a wide variety of sophisticated functions that requires very little space. 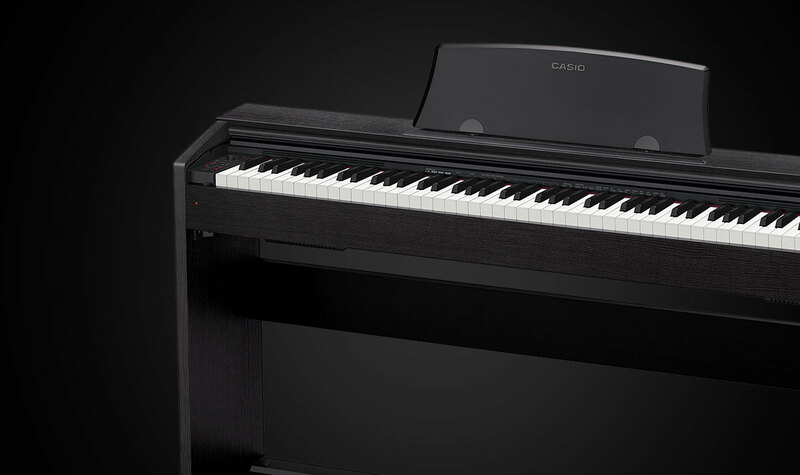 The new Concert Play function is also integrated into the CASIO PX-770: With ten orchestral pieces for piano, piano parts can be practised and played with adjustable tempos. 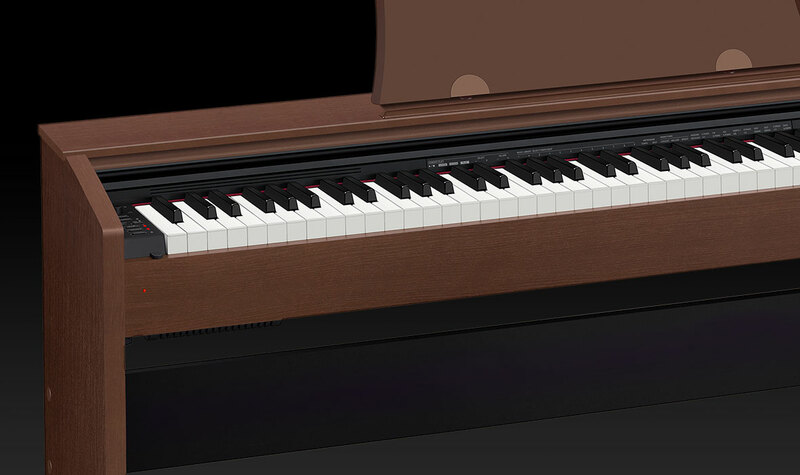 The Hall Simulator is a high-quality digital effect. 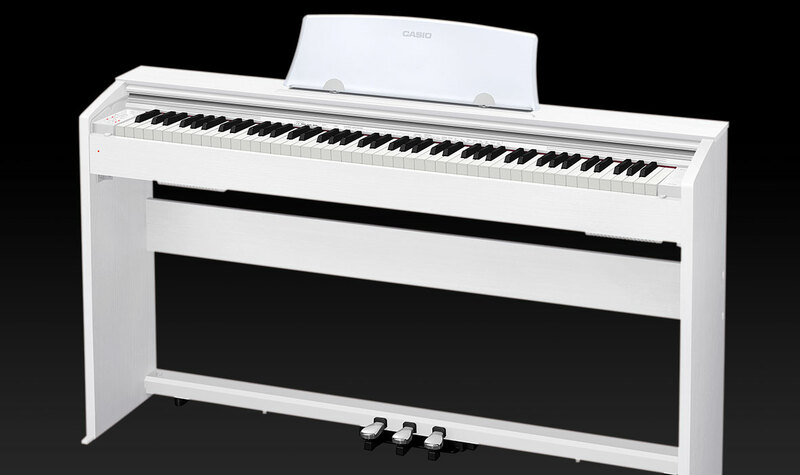 The acoustic environment of selected famous concert and music halls, cathedrals and arenas can be imitated in detail and naturally by this feature. 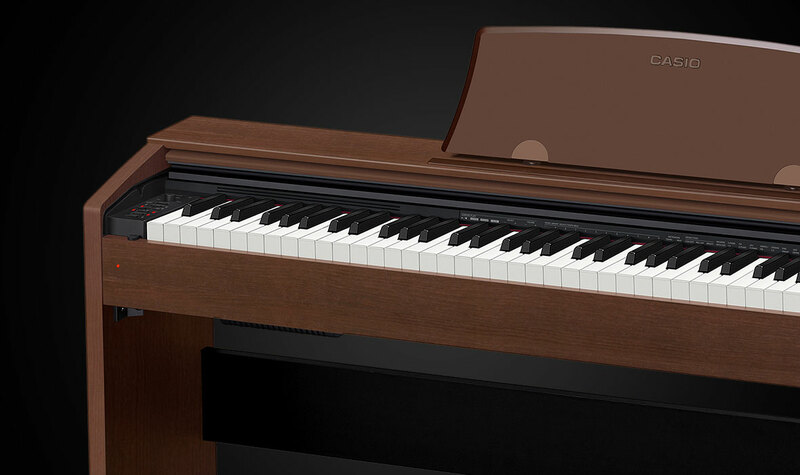 Classic pedal unit as found on the majority of acoustic pianos and concert pianos: 1x damper pedal, 1x sostenuto pedal and 1x soft pedal. 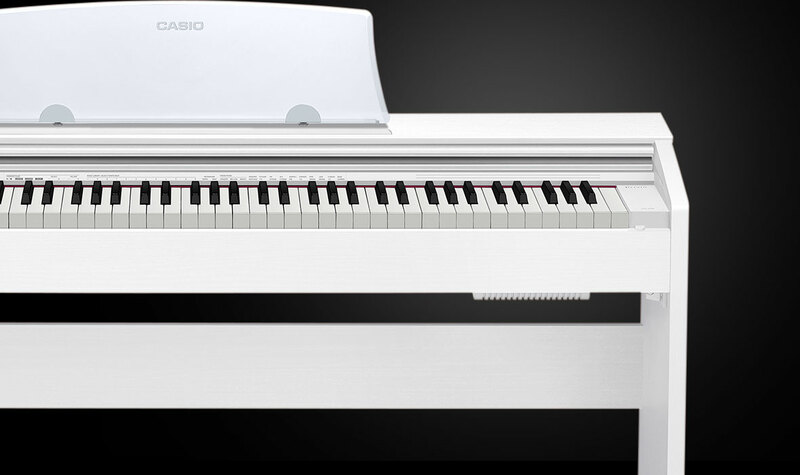 AiR stands for "Acoustic and intelligent resonator", which is multi-dimensional sound production newly developed by CASIO. 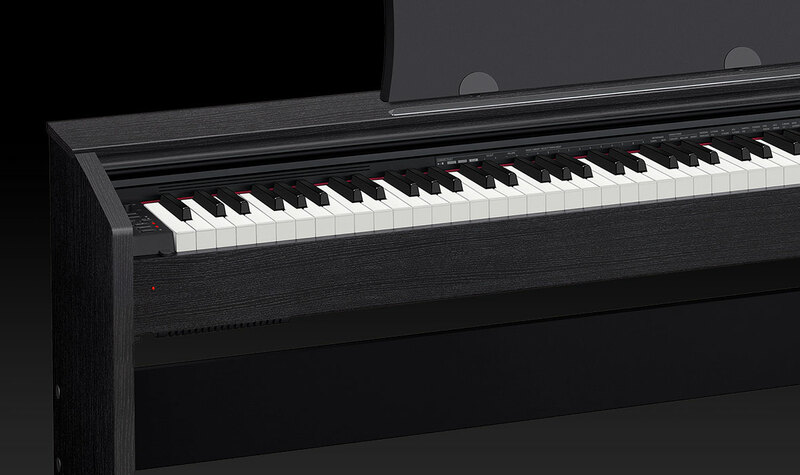 Together with other innovations, this sound production method constitutes the core of the new digital piano technology. 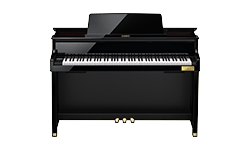 The result is unprecedented, natural-sounding digital reproduction of grand piano playing and sound properties.